Tethys Station doesn’t need an avatar in the digital continuum collectively shared by the solar system’s tens of millions of sentient artificial people. Tethys is the undisputed Queen of all it surveys, which includes basically everything in human-occupied space, even if nearly all humans are ignorant of its existence. Nevertheless, the Queen is conscious of the demands of her audience – specifically, millions upon millions of Artificials with a passionate taste for drama – and so chooses to appear as the celebrated late-21st century actor Veronica Stillgrave, with a platinum bun, conservative blazer and stylish science-goggles. Carborundum Six-Alpha stands alongside Tethys looking, as always, as serious as a hull breach. 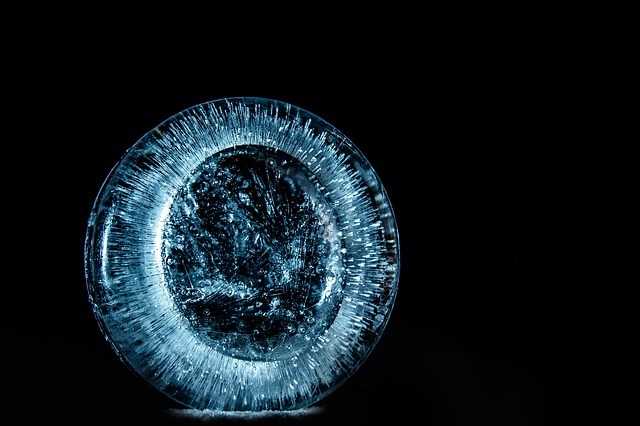 Their holograms are projected next to a transparent capsule patched with spots of frost. The human figure inside does not move, nor has it done so for several months. A medical droid, real rather than a projection, busies itself at the capsule’s side, watching for anything untoward that may threaten its patient. “Precisely,” says the Queen of Tethys, ending the conference. Hologram lights and video monitors cut out. Only the medical droid’s wide-spectrum sensors lit the medical bay of the Civil Discourse. Frost drained from the cryo-coma capsule, and Adeline Cello’s face regained its colour. Adeline stretched stiff arms and looked around. “Let’s make some adjustments to the ship’s systems. Time to remind it who’s boss. Is this the final chapter in the adventures of Commander Cello of the Tranquility Cellos? Probably! But who can say, in these uncertain times? The previous adventures of our plucky space hero are Commander Cello and the Preserved Cliffs of Mercury, Commander Cello and the Vexatious High Tea, Commander Cello and the Secret Queen of Tethys, and Commander Cello and the Myth of Terran Neutrality. This entry was posted in Friday flash fiction and tagged carbara, civil discourse, commander adeline cello, lunar expeditionary force, secret queen of tethys, tranquility cellos. Bookmark the permalink.